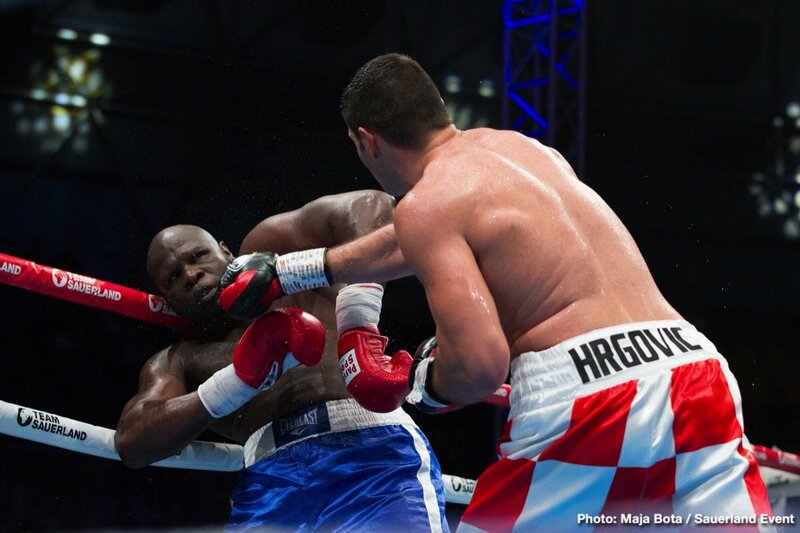 Croatian heavyweight star Filip Hrgovic (7-0, 5 KOs) continues his World title hunt with a unanimous points win over former World title challenger Kevin Johnson (33-12-1, 17 KOs) last night at the KC Drazen Petrovic in Zagreb. The WBC International Champion dominated Johnson over the eight round distance and came close to stopping the durable American in the second round with an overhand right landing flush and buckling the Kingpin’s legs. 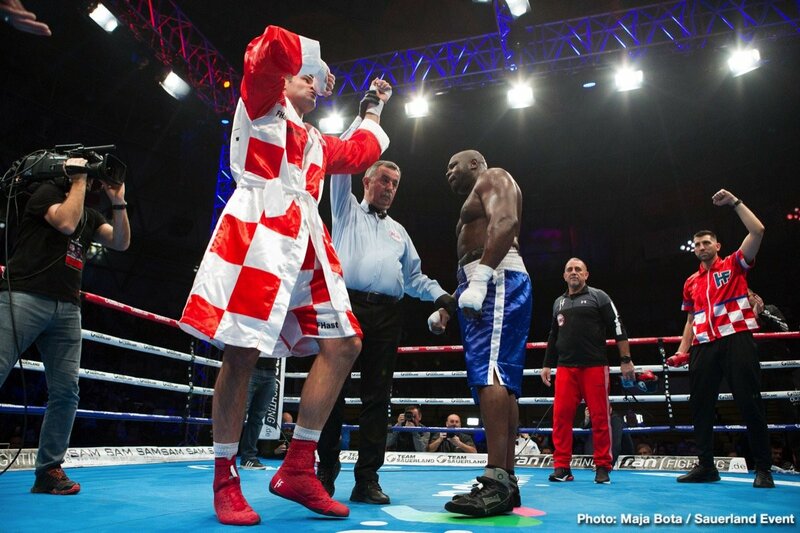 Johnson beat the count but offered little resistance as Hrgović continued to control the fight in the later rounds, and the decision was in no doubt when the scorecards were read out with all three judges favouring the Croatian, 80-71. Hrgović, the 2015 European Amateur Championship Gold Medallist and 2016 Rio Olympic Bronze Medallist, ends 2018 on a high, having previously recorded victories over Sean Turner, Filberto Tovar and Amir Mansour. “I would like to thank everybody who has supported me,” said Hrgović. “I would also like to thank Kevin Johnson. He is a good fighter and he has my respect. I hit him with some big shots and he did not go down. Promoter Nisse Sauerland was ringside watching on as Hrgović recorded his seventh career win, and says he was impressed with his fighter’s display. On the undercard, two-weight female World Champion Ivana Habazin outpointed Eva Bajic, avenging her 2013 defeat, while rising German star Leon Bauer climbed off the canvas to claim a unanimous points win over Jorge Silva. 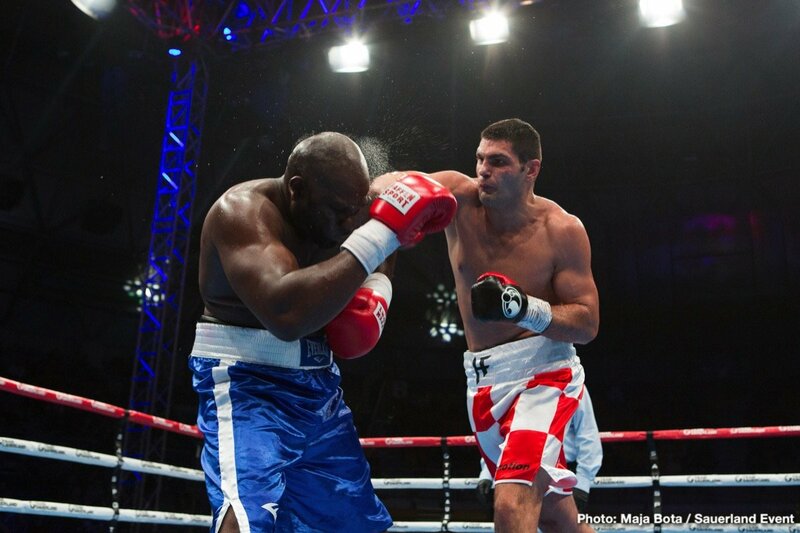 Frenchman Cyril Leonet won the vacant World Boxing Federation (WBF) International Heavyweight title on Friday night, December 7, on a big show promoted by Europrom at the Salle Des Trois Provinces in Brive, beating Germany´s Dennis Lewandowski. 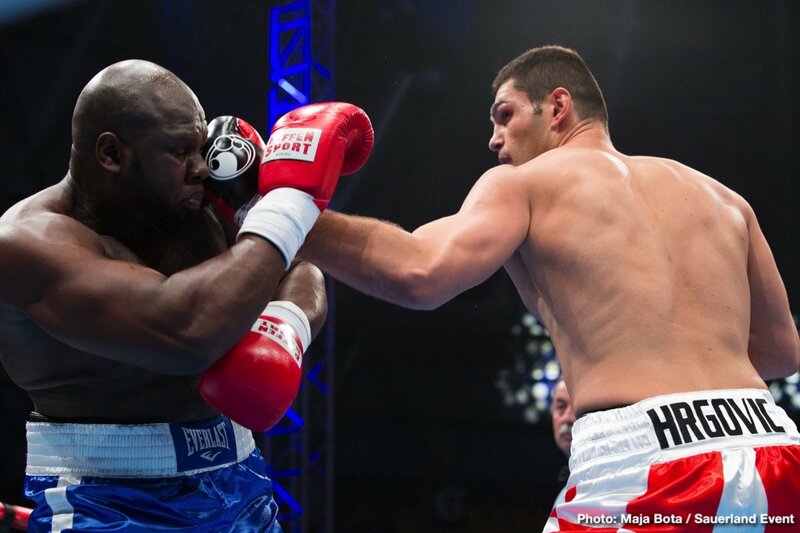 Leonet (now 15-10-3, 5 KOs), a former French national and IBF Mediterranean titlist, out-boxed the otherwise game Lewandowski (13-3, 6 KOs), who did have his moments but never managed to get the upper hand on his veteran opponent. After ten rounds of boxing, judges Giuseppe Quartarone and Ernst Salzgeber both scored the fight 100-91, while judge Jerome Lades saw it 100-90, all for Leonet. Referee in charge of the action was Christophe Hembert. At La Estacion Food Park in Mexicali, Mexico, also on Friday night, local contender Sergio Ortega improved his professional record to 20-2 (14) and picked up the vacant WBF Mexico Light Welterweight title, emphatically stopping Lizandro De los Santos, 24-16-1 (10), in the second round. A powerful combination of punches send De los Santos down a minute into the second round, but he beat the count of referee Fernando Renteria. However, when Ortega followed up and showered De los Santos with unanswered punches, the fight was soon after waved off. Official time 2:47.